The final chapter. Thanks for all the kind words about this mini-series. 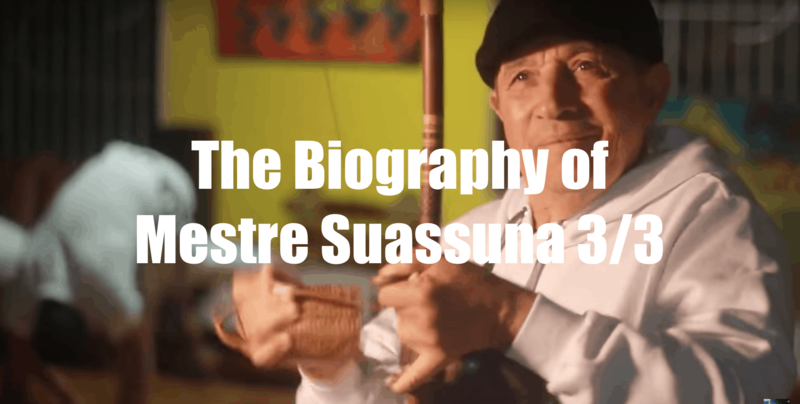 This is part 3 of the 3 part series summarizing the amazing Biography of Mestre Suassuna by M. Boca Rica. I want to thank M. Boca Rica again for writing this book and for distributing it. If you’re ever looking for Capoeira in Barcelona, Spain, this is the man to go to. If you haven’t seen the first part, here is a link. I encourage you to see the first part and the second before watching part 3. This final chapter looks at the 1970’s onwards, including the creation of Miudinho, CDO, and Capoeirando. Enjoy.